Solano History 4 records found Search took 0.01 seconds. Lucille Vinsant, co-founder of the Solano County Genealogical Society shares a remarkable story of what it was like being a woman, crossing the plains in the 1800's. Recorded on April 23, 2005 at the Pioneer Day Reunion at Rockville Church in Suisun Valley. 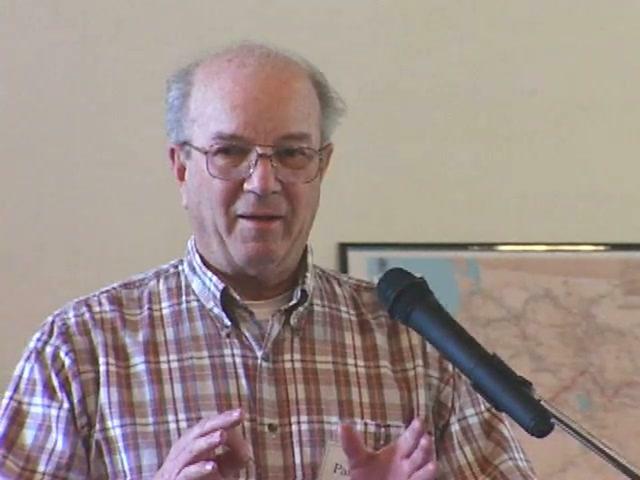 Introduction by Mary Higham, Director of the Solano County Historical Society..
Frank Pangburn shares his insight into geneaological research, and his ancestors arrival by wagon train in Solano County in 1846. Recorded on April 23, 2005 at the Pioneer Day Reunion at Rockville Church in Suisun Valley. 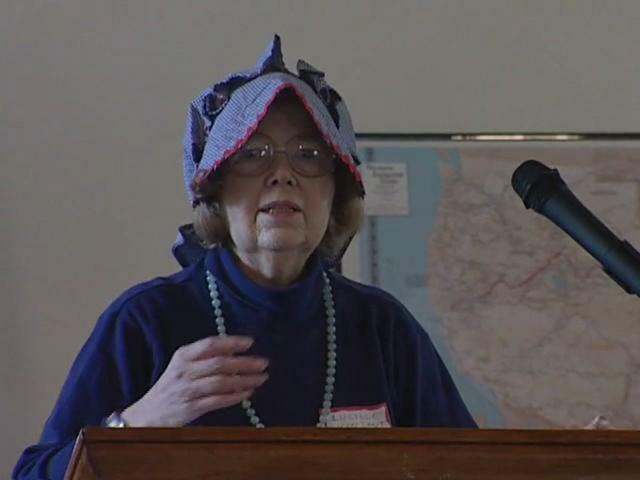 Introduction by Mary Higham, Director of the Solano County Historical Society.. The Old California and Oregon Trails that led to the settling of the West during the gold rush are well chronicled by many of the pioneers who made their way here.